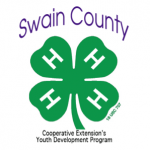 The Swain County Cooperative Extension is now taking orders for 3-4 foot tall apple, pear, and peach trees along with 12 inch thornless blackberries, 3 year old blueberry and 2 year old grape varieties. Prices are $13.00 for the apple (dwarf & semi-dwarf sizes), peach and pear trees, $8.00 for the grapes and blackberries, and $10.00 for the blueberry varieties. All plant material will arrive bare-rooted. 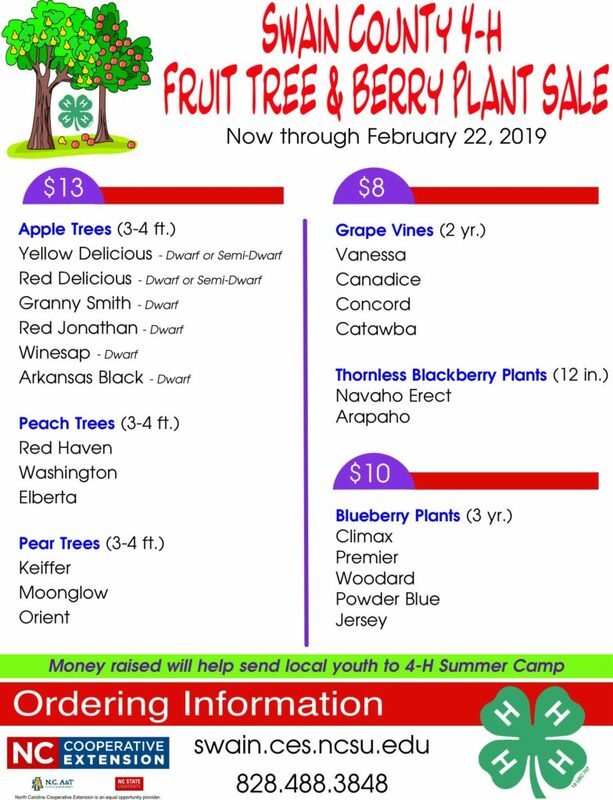 The 4-H Plant Sale will run through Friday, February 22, 2019. Call 488-3848 for more information. Orders and checks must be in our office by February 22, 2019 at 5:00 p.m. See below for detailed ordering information. Plants will be ready for pick up tentatively around March 11-15, 2019. Our office will contact you immediately upon their arrival and work with you on picking up your order. We strongly encourage that plants be picked up the day we call to insure best quality. All sales and purchases are final – The quality of the plants needs to be evaluated by the purchaser at the time of pick-up. 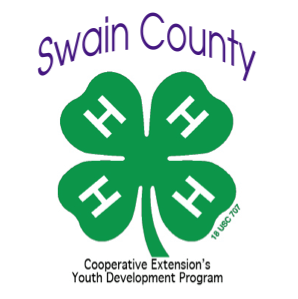 The 4-H program cannot replace or refund for plants that perish once they leave the Cooperative Extension Office.